Both the NBA and the NHL are done for the season following the recent championship series and while the heart of the MLB regular season is in full swing, avid sports bettors are still dreaming about a new season of games in both college football and the NFL. There is still quite a bit of time to kill before football in the United States is back on the board at your favorite online sportsbooks, but our good friends ‘north of the boarder’ are ready to offer up a new season of games in the Canadian Football League starting the week of June 19 th . The CFL is a different brand of football with longer fields and less downs to score points, but the true essence of the game when it comes to betting on the outcome is basically the same. The CFL consists of four teams in the East Division (Hamilton, Montreal, Ottawa and Toronto) and five in the West Division (British Columbia, Calgary, Edmonton, Saskatchewan and Winnipeg). Each week’s schedule over the course of 20 weeks consists of four games that are generally played between Thursday and Sunday. What makes the CFL such an attractive sports league to bet on is the small number of teams and games to actually handicap. It is not that hard to get a really good handle on all nine teams and with only four games to choose from each week, they overall action in this league is very easy to manage from a betting standpoint. 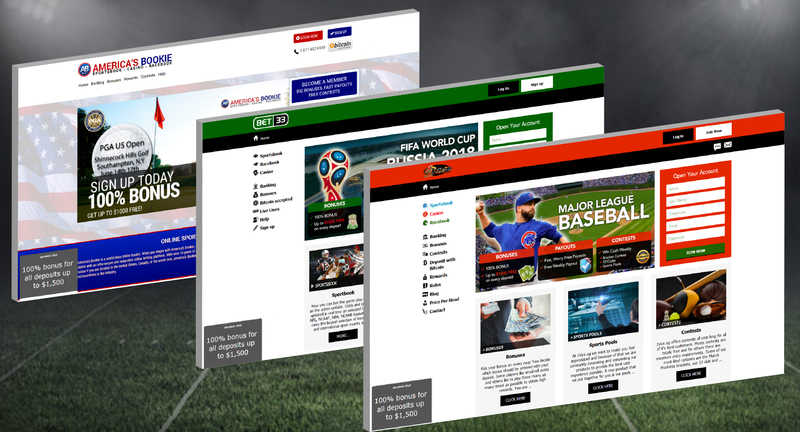 Just about every one of the top offshore sportsbooks operating online offers betting action on the CFL and since sports betting is legal in Canada, there are also some top-notch online sportsbooks in that country that are more than willing to promote the only true professional league that is unique to their country. One of the first things that you will notice when it comes to CFL betting lines is an overall higher number when it comes to total line bets. CFL rules only give the offense three downs to move the chains, so the passing game takes precedence over running the ball. This, in turn, leads to higher scoring games and in some cases a higher level of excitement in what is a much more talented league than you might think. The majority of the players in the CFL come from the United States after playing their college ball at some very high profile programs. Once you get a good handle on each team’s players at all the skill positions, especially at quarterback, it becomes pretty easy to break down each individual matchup. Another great thing about betting on the CFL is the concept that familiarity leads to more predictable outcomes. Since the regular season schedule is 18 games and there are only nine teams, head-to-head betting trends take on a whole new level of importance. You will actually find a number of home-and-home series built into the CFL schedule where the same two teams face one another in consecutive weeks while simply changing venues. One of the reasons why some US sports bettors have shied away from the CFL in the past is the lack of TV coverage, but that has started to change in the past few seasons. ESPN has a contract with the CFL and while you will not be able to catch every game on national TV, there is still plenty of coverage for the games, especially in the summer months before college football and the NFL return to action. If you love to bet on football at your favorite online sportsbook, do yourself a favor and check out what your book has to offer when it comes to betting on the CFL.